Common man is fed up with the raise in costs of medicines. Now a visit to hospital for fever of cough cost atleast 500 bugs. 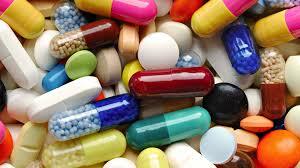 Most of the doctos prescribe branded medicines which usually costs high. You might have noticed that, when we go to a medical shop and asks for a particular medicine, if that medicine is not in the shop, then the person may look at the chemical composition of the drug and then suggest alternative medicines that have the same salts as the one mentioned in your prescription...and this may be an unbranded one, may be of high or low cost, but does the same effect. Few months back, while watching a TV program called "Satyameva Jayathe", hosted by actor Amir Khan, came across a segment in which a doctor revealed some unbelievable things happening in medicine production industry and the ruthless profit enjoyed by medical companies. Things like Cheap medicines sold at very high price , replacing cheap medicines with high priced alternatives, bribing doctors for prescribing high cost medicines etc. The program mentioned about following websites which can provide you will valuable information of medicines,research drugs, learn about drug compositions, Generic Equivalents for your Branded Medicines, price comparisons between brands of same medicine etc. This drug databases are basically for Indian users. These sites are primarily for getting information about medicines and its manufacturers, also for comparing drug prices with the same constituents but from different brands. So When shifting to a low priced alternative, it is always advisable to consult with your doctor.